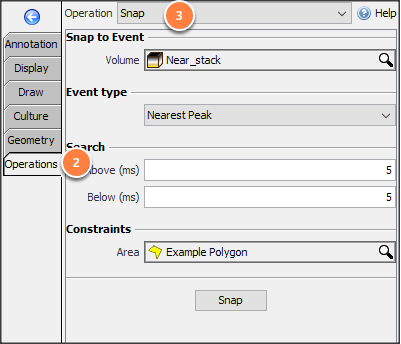 Use the Snap operation to shift horizon points to a specific part of the waveform: positive peak, negative trough, zero-crossing increasing, or zero-crossing decreasing. Where is the snap operation? 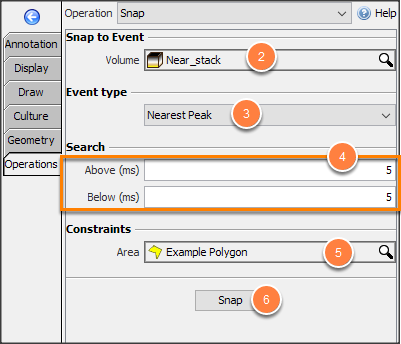 Note: The Snap Horizon button will be disabled if the horizon you are using in the operation is pending on another operation such as propagation. You will see a notification of the pending operation that you should complete before continuing with the current operation. Snap is found in the Map View, under the Operations tab (along with other horizon operations). In the navigation bar, select the horizon to snap. At Volume, select the volume to snap the horizon to. Nearest Zero (Increasing): the closest zero crossing (from negative to positive). Nearest Zero (Decreasing): the closest zero crossing (from positive to negative). Click Snap to start the operation. Click Replace this horizon to converting the picks to the existing horizon. Note: By default, the new horizon will be named: "horizon_name (snap above value to below value)". For example, the operation above will yield a new horizon called "Sample (snap -5 ms to +5 ms)". 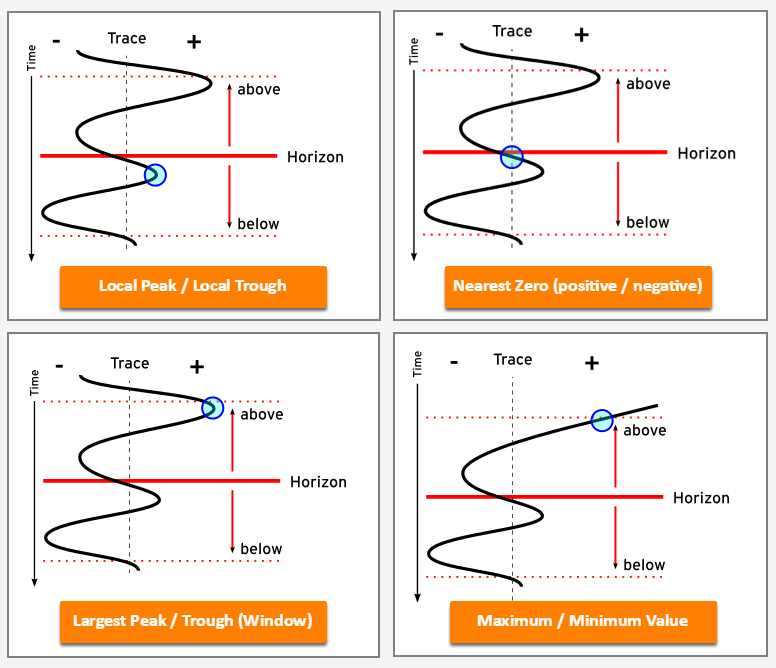 To rename the horizon, see Horizon Details and Configuration.